Victoria is an academic fellow at the University of Sydney. She researches and teaches about education and its relation to gender and sexuality. She also focuses on the life worlds of young people and how these are impacted by schooling, gender and sexuality. Prior to her appointment at the University of Sydney, she was a Senior Research Associate at Lancaster University, researching the reasons why LGBTQ youth have higher rates of self-harm and suicidal feelings than heterosexual or cisgender youth. 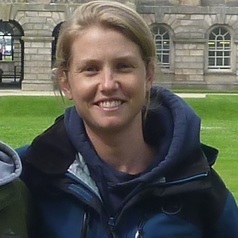 Victoria received her PhD from the University of Sydney in 2013. It investigated the social structures and moments of violence and aggression in schools, particularly in relation to gender and sexuality. It also explored the meanings of 'bullying' in schools, and the ways that prominent discourses often constrained meaningful interventions of bullying incidents.